Happy Hump Day! 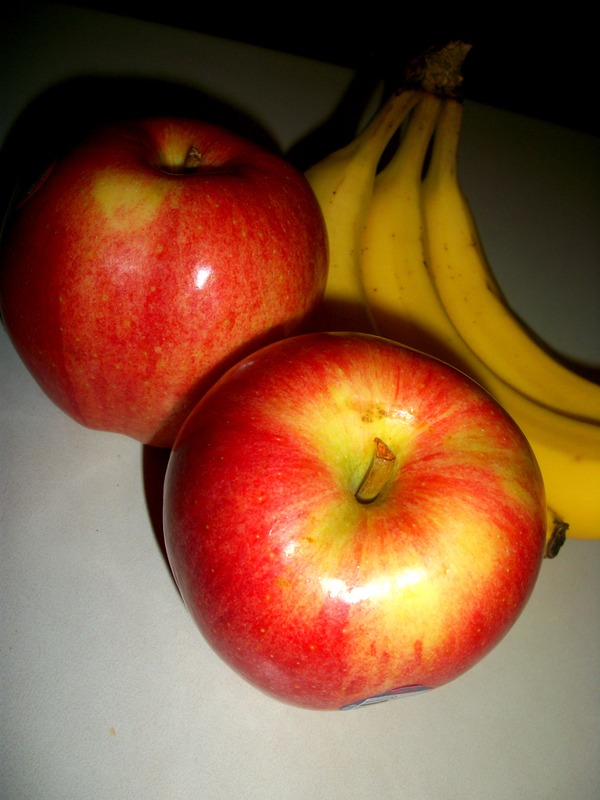 I’m super stoked about Jenn’s latest WIAW, Fall Into Good Habits. I always like to think of the start of a new season as a clean slate; a starting point for a new outlook on life, eating, exercising, etc. 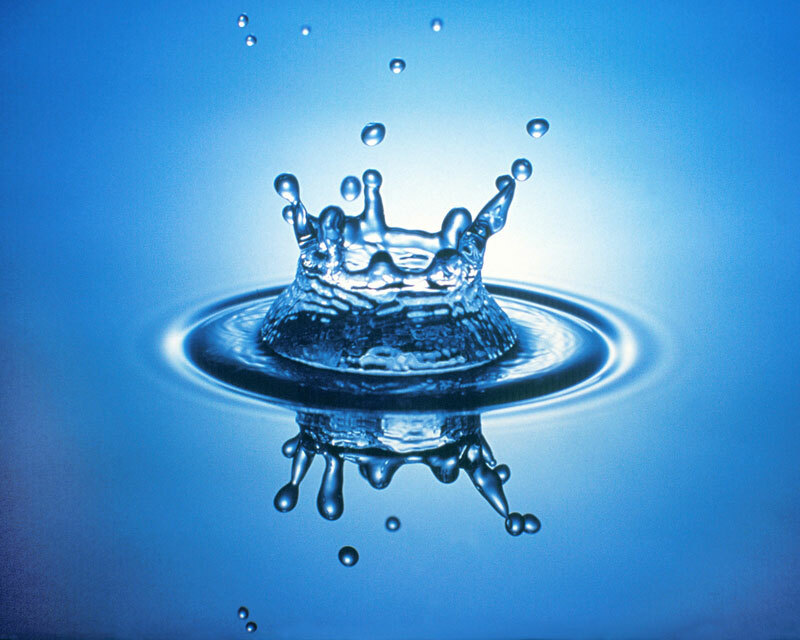 I’ve been falling into a few good habits as of late; first & most importantly…WATER!!! A couple weeks ago I was craving salty foods like it was my job. I went to my trusty friend Google & found that the number one sign of dehydration is craving salty foods. I thought about it for a minute & realized I had kind of been slacking on the water intake. I read somewhere that you should drink half your weight in ounces of water each day. For instance, if you weigh 200 lbs., drink 100 oz. of water. Simple enough, right? Lately I’ve been setting a water goal for myself. I fill either my Nalgene bottle or a 1 liter Dasani bottle three times a day. Both are around 32 ounces. If I drink all three portions, I am more than okay on my water intake for the day. And if I don’t manage to drink all 3? That’s okay too. But all this week, I’ve been doing great on water intake & it does feel really good. In addition to water, there’s been a lot of oatmeal around here this week too. 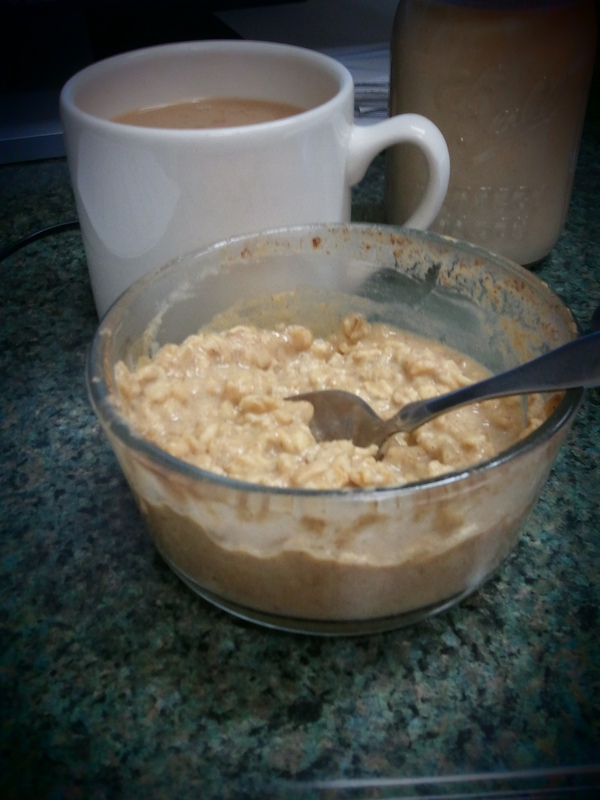 Overnight pumpkin oats, to be exact. 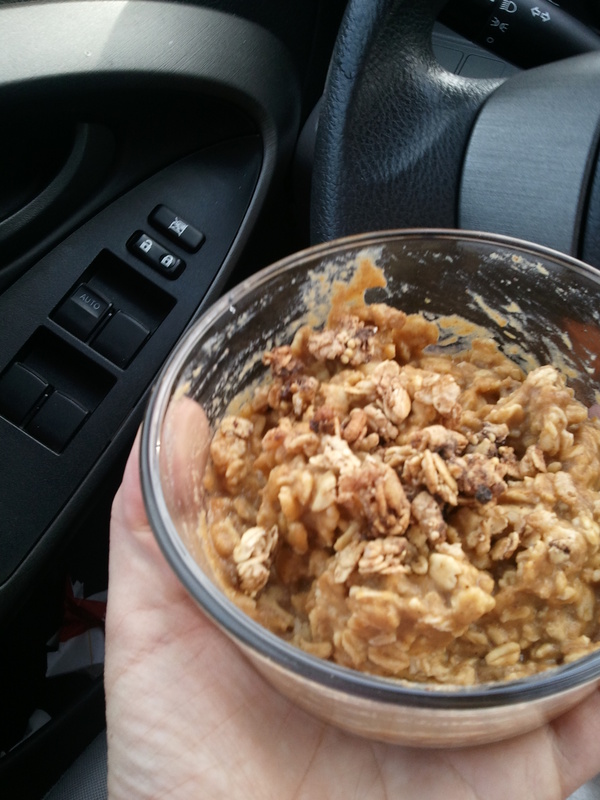 Pumpkin Oats on the way to school. I ate them at home too, but didn’t take any more photos. Stir it all up & throw it in the fridge overnight. In the morning, top it with a bit more cinnamon, a scoop of peanut butter or Greek yogurt, some granola, nuts, whatever you like. It’s gooooood. Another good habit I’m really aiming for is eating my colors. Oh, a blue bag of Doritos doesn’t count?! My bad. I’ve been a bit across the board this week with good & bad foods. I craved Doritos so I ate Doritos. 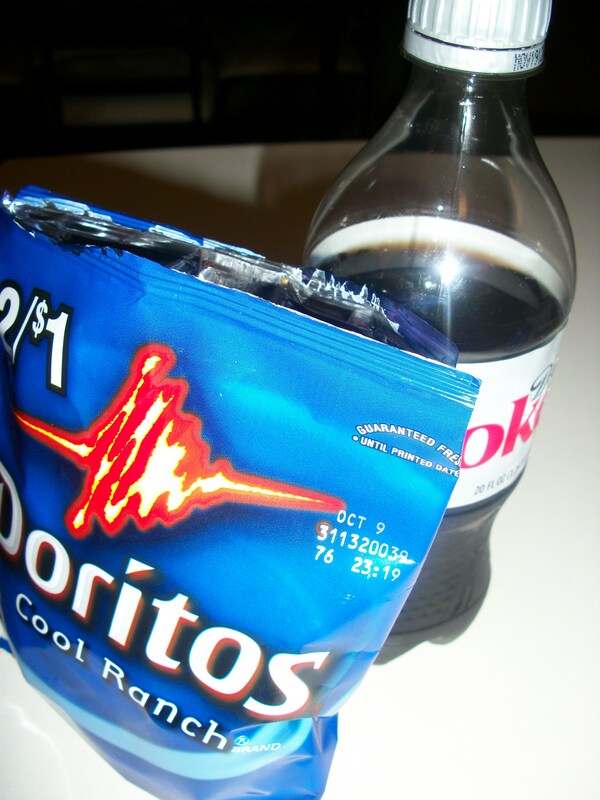 You can’t have Doritos without Diet Coke, right? Well, unless you have Mountain Dew. That was my junk food combo of choice for years. Now back to REAL colors. I had a couple colorful salads at work but didn’t snap any photos. Apples, cranberries, tomatoes, cucumbers…they were all in there. Lots of sweet potatoes at home this week. 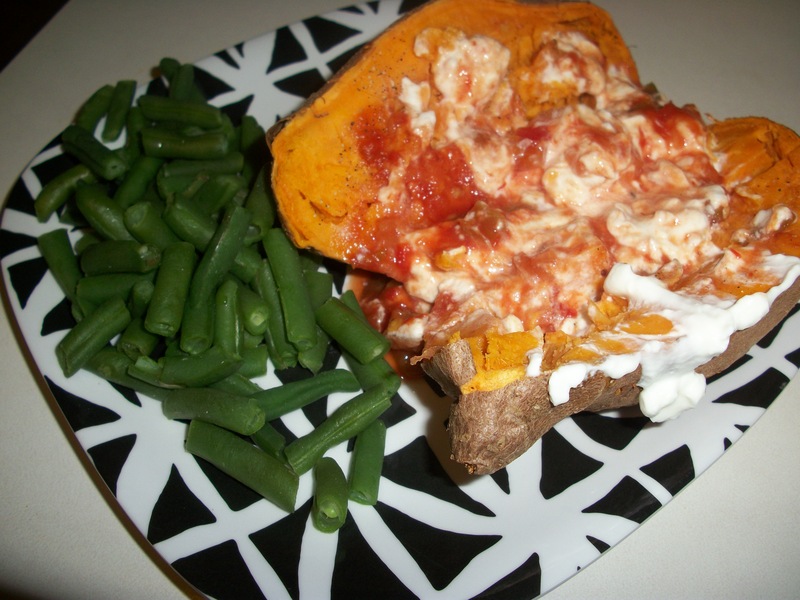 Smashed sweet potato with Greek yogurt & salsa + green beans. 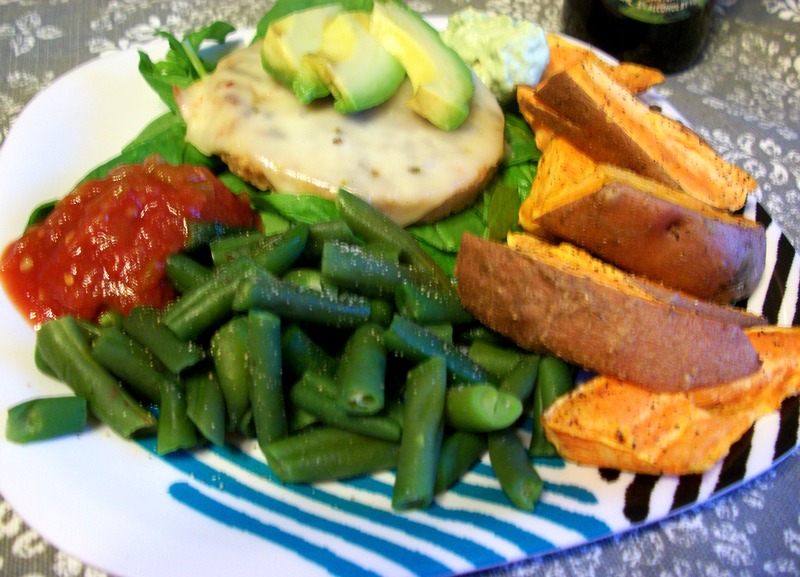 Boca Original Vegan with pepperjack, spinach, green beans, sweet potato wedges, salsa, & guacamole mashed with Greek yogurt for dipping the wedges. Special thanks to Angry Orchard Apple Ginger Hard Cider for that extra bit of color in the upper right hand corner! Speaking of eats, I had lunch with a couple of my favorite ladies today. Melissa had to leave us for an appointment, but Christy and I went on to get Starbucks & pedicures. I didn’t bust out my phone or camera but it was a fun girl’s day for sure. I usually do my own mani/pedi at home. Today I remembered why I MUST treat myself to a salon pedi every once in a while. They’re able to do things that I just can’t do myself. It was $30 for a super generous pedicure, complete with parrafin dip. LOVE parrafin! The best part of this pedi though, was the fact that my mom & dad paid for it! It was a little congratulations treat for my recent promotion at work. I’ll tell you about it soon, promise. I went with a deep plum colored polish that screamed fall, but it ended up looking pretty much like black. Oh well, I have happy toes. 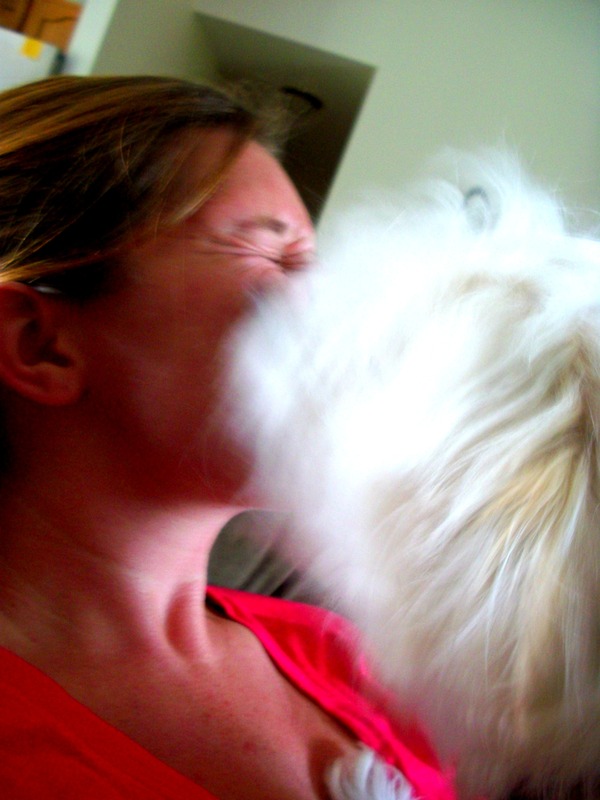 Notice how he’s standing on my chest, fiercely licking my face? That happens every. single. day. Boy loves his momma. I just got home from a jog. Third time this week. I guess that’s a pretty good habit too, considering my severe lack of working out lately. On the flip side, I’ve also started watching TV. Ok, well I’ve obviously watched TV before, but now I’m actually getting hooked on shows. I’ve always loved Parenthood so I’m stoked that started up again yesterday. But I also just LOVED The New Normal, I’m getting slightly hooked on The Voice & even got sucked into The X Factor tonight. What’s happening?! I could go for days without even turning on the TV just last month!! Oh well, as long as I keep up with the jogging I suppose a little TV isn’t going to hurt me. Are you a TV watcher? What shows do you like? I used to be all about recording everything. On my days off I would spend HOURS in front of the TV, catching up on my shows. I still have favorites; Parenthood, So You Think You Can Dance, Revenge that I’ll probably always record but I hate that I’ve started to watch a few others. I’ll record a Real Housewives marathon from time to time too, just for when boredom strikes. My “new” job will allow me to be home a bit more at night so I guess I don’t mind knowing what’s on for the fall season! Previous Post How Did You Find Me? Next Post Just Like Corrie Anne!